Many people wonder if Transitions lenses are right for them. One benefit of these lenses is that you can go from inside to outside and not have to look for your prescription sunglasses in your car, purse, briefcase, etc. Its a seamless transition from inside to outside. A few of the downfalls of these lenses is that it takes awhile for the dark lens to change back to clear once you have stepped inside from outdoors. Also a transitions lens will not transition when you are in the car because you have UV protection in your car windshield glass. Another thing to keep in mind is that you may not want your lenses to be dark for a family picture outdoors or for a wedding picture. Just some things to keep in mind when deciding whats best for you based on your needs. 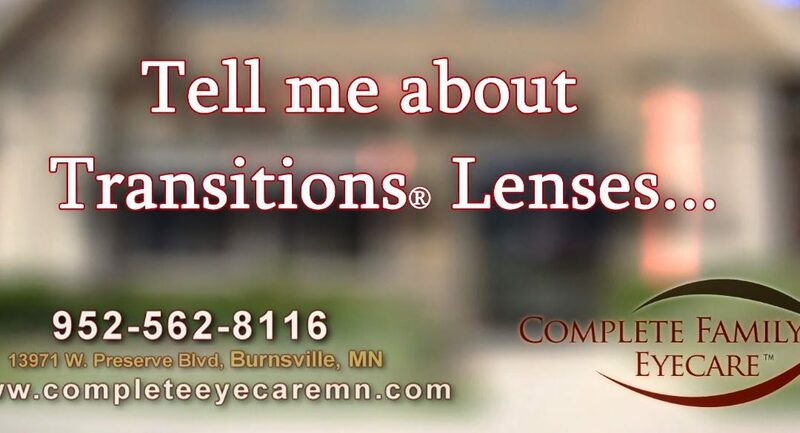 Click here to watch a video of Chantel explaining Transitions Lenses.